And finally... March 9, 2014! 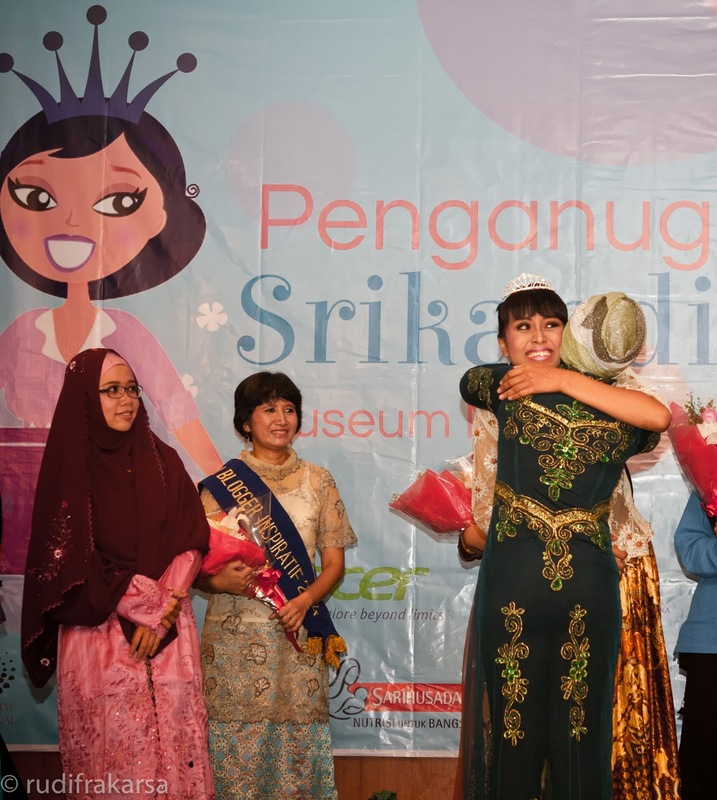 For those who haven't heard of Srikandi Blogger, or just have a hint on it, allow me to proudly explain how incredibly inspiring this event is. Initiated last year as part of the anniversary of Kumpulan Emak Blogger - a celebrated group of Indonesian female bloggers, this event has invited female bloggers to participate in a contest where the most inspiring, most blogger will be selected as Srikandi, a heroine in traditional Javanese culture. From hundreds of participants, 50 has been selected in the first batch, trimmed down to 10 finalists before the final round. Tasked with various blogging activities, ranging from simple introduction, self-promotion to blogging on the issue of women and internet to creating video about what you will do if you were selected as Srikandi Blogger 2014, participants were again invited to get out of their comfort zones and explored the new world of possibilities...Resulting in numbers of colorful and inspiring entries indeed. This is THE event where you have the opportunity to actually meet, greet and have (lotsa) fuun to soo many inspiring women from different walks of lives and backgrounds ..... sharing the same passion, blogging! Full of energy, enthusiasm, creativity and lotsa lotsa love, love, and love.. 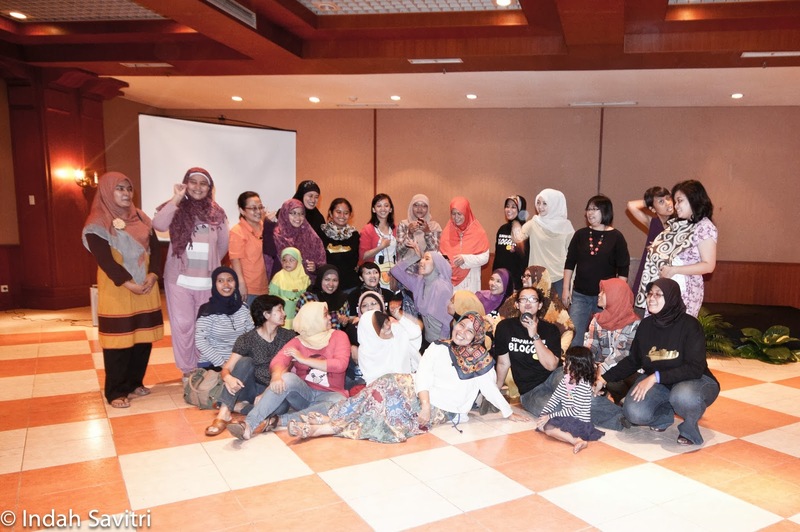 The event itself was packed with soooo many beautiful displays of creativity among members of Kumpulan Emak Blogger, famously known as KEB. Being there as one of the 10 Finalists of Srikandi Blogger 2014 is such a rewarding experience..perhaps, once in a lifetime opportunity as well..
Yaaay, congratulations, nduuk :D, so proud of you.. These ones were taken before the fashion shooow.. Frankly, I have to get more details about this..but let me just start with photos of these gorgeous ladies...all members of KEB who participated as the model for this event, wearing lovely collections of Hijaber's Mom Collection.. 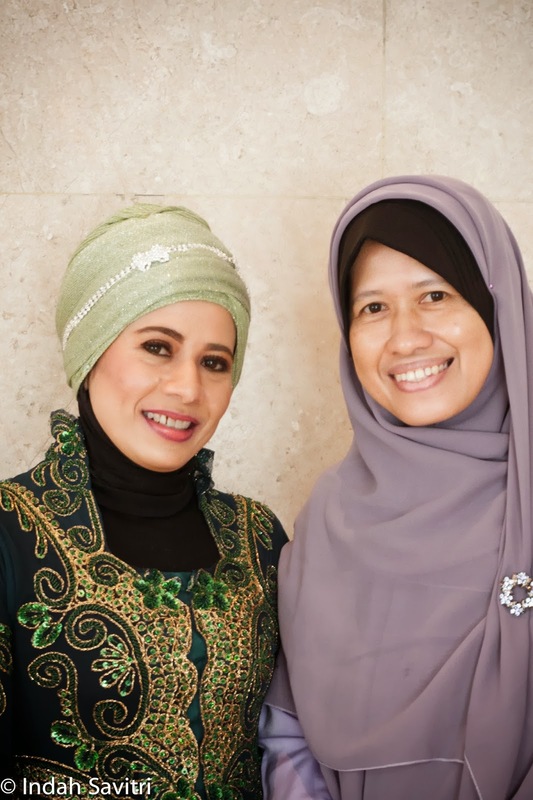 I will definitely be back with more details and stories..
Mak Alaika et Mak Ida Nur Laila..
love the outfit, the make up and most of all...the lady bearing this smileee..
Jadi pengen bener2 ketemu dengan semuanya nih. 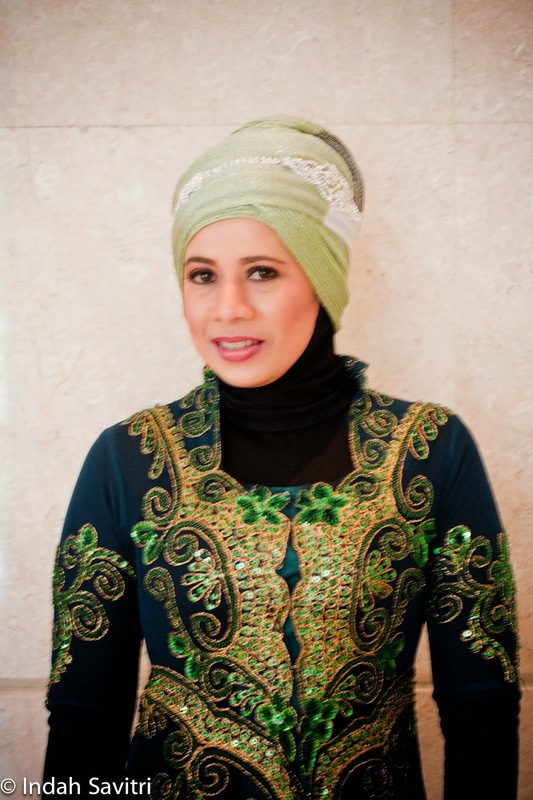 termasuk si best dress iniiih :D>..
Mama Boooooo....merci again for d photos. Nggak nyangka ya wajah ancur2an eike bisa jadi begindang wkwkwkkk... Aku pinjem foto2mu darimu ya mak, sumpe keren abis soalnya. Mak Mugniar gak ada ya? iyaaa maak cantiiiik...amiiin semoga segera ketemuan lagi yaaah..
yang ngomong apalagiii...cantiknya manglingiiiin :D.. I love meeting fellow bloggers and I am so excited for you that you got to go to this. It sounds like you had a lot of fun! I am so happy for you. kamu itu mmg menyenangkan mak...awalnya rada malu berhadapan dgn mu ituh. 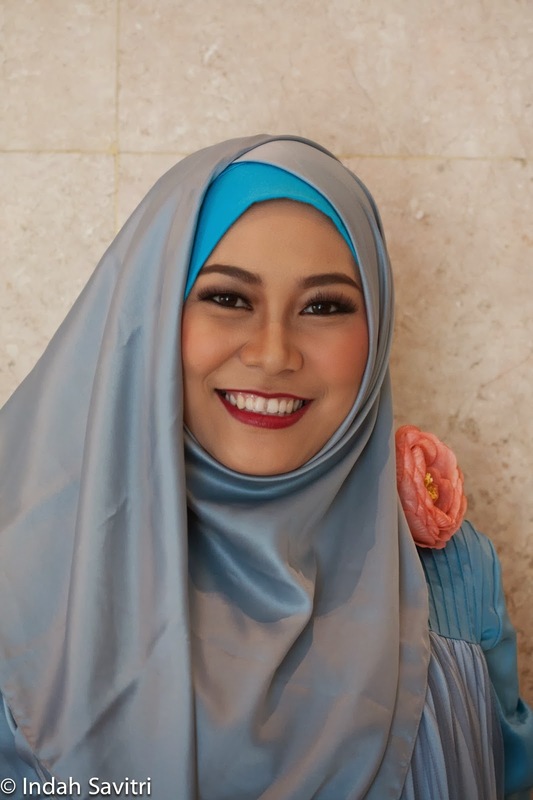 Tapiiiiiiiiiiiiiiiiiiiiiiiiiiiiiiiiiiiiiiiiiiiiiii aku salah besar dan akhirnya mencubit pipiku sendiri. Heyyyyyyyyyy...lihat betapa menyenangkannya berteman dengn wanita super ini. Terima kasih atas keramahan dan kebaikan hatimu ya mak Indah. Btw, are you already in US or still here in Indo?